David Trotter has been involved in Great Lakes Shipwrecks......searching, diving, exploring and documenting new discoveries for 35+ years. The solving of "history's mysteries" has made significant contributions to the history of our Great Lakes and provided new exploration opportunities for sport and technical divers to enjoy. Dave's discoveries have been featured on the Discovery Channel, PBS, NBC and in the New York Times, Detroit Free Press, Canadian "DIVER" magazine, Lakeland Boating, "Wreck Diver" and "Immersed" dive magazines. 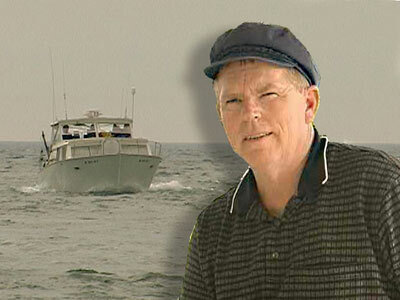 His articles on Great Lakes shipwrecks have been published in historical journals and national scuba diving publications. 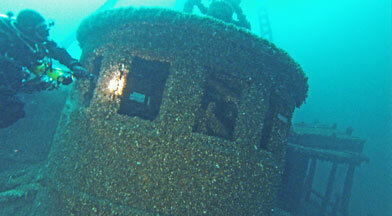 He has searched and discovered shipwrecks in all of the Great Lakes (except Lake Ontario). In a unique odyssey, the years of dedicated effort to discover the largest schooner built in Canada (the 250' Minnedosa) resulted in surveying over 2,000 square miles of Lake Huron. This has been a one-of-a-kind adventure with 80-90 new sites, including airplanes, the steamer Daniel J. Morrell, and the steamer Goliath. The Goliath was designed by John Ericsson in 1846, fifteen years before he designed the ironclad Monitor of Civil War fame. David believes the Great Lakes are "Our Treasure" to be enjoyed by all who love our "Inland Seas" and our marine history. It is the Shipwreck Hunter discovering and the Diver exploring a shipwreck (in 20' or 300' of water) that has given us that unique experience of travelling back in time. David Trotter and the Undersea Research Associates (URA) discovery team have located and initiated exploration of the 436’ Steamer Hydrus. The Hydrus, missing for 102 years, was the last of the Great Storm of 1913 ships still missing on the U.S. side of Lake Huron. Her disappearance cost the lives of Captain Lowe and 21 crew members. “No lake master can recall in all his experience a storm of such unprecedented violence … it may be centuries before such a combination of forces may be experienced again.” – Lake Carriers’ Association Report 1913. Sunday, November 9, 1913, was the blackest day in the history of Lake Huron. Of the six ships lost with all hands on the U.S. side of Lake Huron, five have been discovered “turtled” or upside down. Amazingly, the last of these missing ships, the Steamer Hydrus, has been found upright. Captain Lowe and the Hydrus’ crew lost their lonely battle for survival sometime on Sunday, while exposed to the mountainous waves mid-lake. What deeds of heroism and sacrifice marked the final minutes aboard the Hydrus can only be conjectured. The discovery of the ship presents the unique opportunity to explore and provide greater insight into the final moments of the ship that “went missing” for 100+ years. In 1985 David discovered the 436’ Steamer John McGean, also lost in the White Hurricane.